Chased By My Imagination: Top Ten Tuesday: My picks for 'Books In My Beach Bag'. 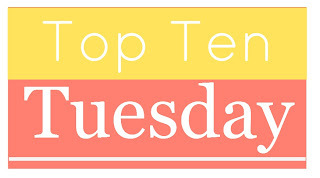 Top Ten Tuesday: My picks for 'Books In My Beach Bag'. What a fun topic to choose! We don't have an awful lot of good weather here in England, it is rarely very sunny! However, I'll think back to last year when I went on Holiday with Mat to Corfu, pretend that I'm going again this year, and decide what books I would take with me to read on the lush beaches there instead! In terms of my book choices, I would want reads that take me to far off and exotic places, or on long journeys away from home. Now if I were picking books for a beach bag, I normally wouldn't go for Fantasy reads, and would head more for books grounded in reality. For some reason that just feels right to me. However, for this one I'll make an exception. 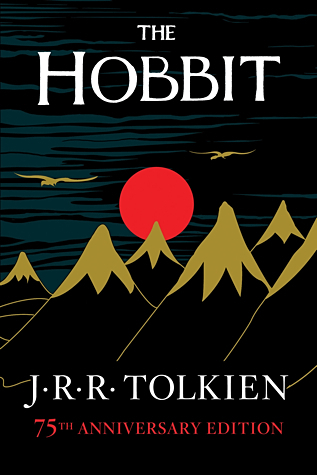 I really want to read this classic children's story by Tolkien, especially as it serves as a prequel to The 'Lord Of The Rings' Trilogy which I also desperately want to read. Though I probably wouldn't place Middle Earth in a list of 'exotic places', Bilbo Baggins certainly takes a long journey away from home in this one, so it still counts! 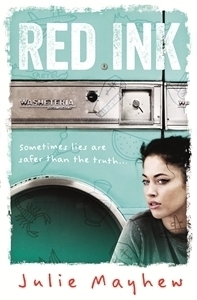 2) 'Red Ink'; Julie Mayhew. This was the first book I thought of for this category. I was sent a copy after winning a Twitter giveaway run by Julie Mayhew herself! She was very gracious in signing it for me and I have been trying (and failing) to find time to read it ever since! Although set in England, it looks like there will be plenty of references to Crete and it's culture. Just reading the synopsis of this made me think of Summer and exotic, far-off places where the sun never stops. A perfect beach read. 3) 'One Hundred Years Of Solitude'; Gabriel Garcia Marquez. I seem to be running a bit of a theme in terms of finding books that invoke the beauty of far-off places. 'One Hundred Years Of Solitude' is set in Columbia and very much centres itself in the Latino lifestyle. I have written before about how much I want to read this book, and I'm very excited that it's on this month's list of planned reads. And what's even better? There's magic involved! I hope I enjoy this book as much as I think I will! 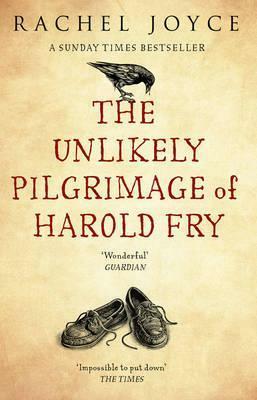 4) 'The Unlikely Pilgrimage Of Harold Fry'; Rachel Joyce. Yet another book that involves a long quest. I've had this book for a little while, but for some reason, it has always felt like a Summer read to me. Maybe it's to do with the cover I have, which is the colour of sand! Still, I know that this book probably won't take me anywhere overly exotic. However, it will certainly take me on a long adventure to somewhere far away. My sister is reading this one now and has yet to give me an opinion on it but I can't wait to hear her thoughts! 5) 'Tiger Hills'; Sarita Mandanna. I bought this book a few months ago when my sister and I went charity book shopping. In fact, I bought this book mere days before starting up this blog! It has sat on my shelf waiting for me to pick it up and I must say, this Summer looks like a great time to do so. Set in Southern India, this book looks as exotic as they come. The cover art is gorgeous and the synopsis looks intriguing (though it looks like it might be a bit of a tear-jerker too). Hopefully I can finally get through this one! 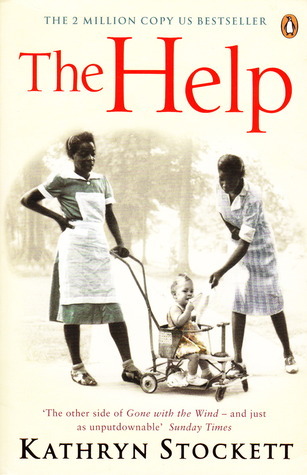 6) The Help; Kathryn Stockett. This book just screams 'read me'. I've never watched the film, though I've heard fantastic things, and I've heard even better things about the book itself. Set in Mississippi, it's a story that includes racial prejudice, and the need to overcome it as one of it's themes. I have enjoyed many books on the subject in the past ('To Kill A Mockingbird', 'The Invention Of Wings', 'Noughts & Crosses') and I really think that I would enjoy this one as well! 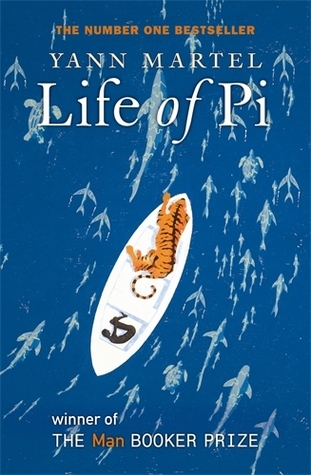 7) 'Life Of Pi'; Yann Martel. I have had this book sitting on my shelf for far too long without reading it. Yes I've watched the film, and yes I've enjoyed it. But I've heard so many wonderful thinks about the novel that I really think it would be a fantastic Summer Read. It's certainly got the 'far-off, exotic places' down to an art! 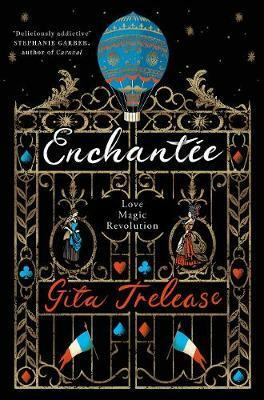 I is set in India, and the synopsis is a little different from books that I've read before! 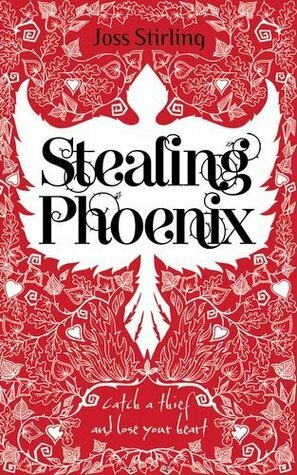 8) 'Stealing Phoenix'; Joss Stirling. This book is the second in a series that I started a month or two ago. 'Finding Sky' was a fantastic read, a book that I really enjoyed a lot. 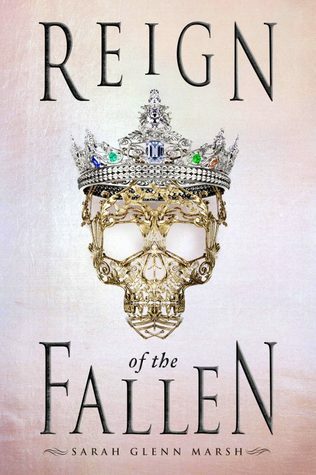 Stirling completely sucked me into her Urban Fantasy, and I really want to get onto reading the second book ASAP. It was actually he book that originally attracted me, before I realised it wasn't the first in the series. This one definitely deserves a place in the Beach Bag! 9) 'Paper Towns'; John Green. For me, John Green has always been listed in my head as a 'Summer' author. Don't ask me why, my head has a tendency to rearrange things strangely. But this book is one of the one's I'll be reading this month, and I'm really looking forward to it. I know that it involves a road-trip across America, which is something I have always wanted to do and so I think it would be ideal to sit on the beach and pretend I am! 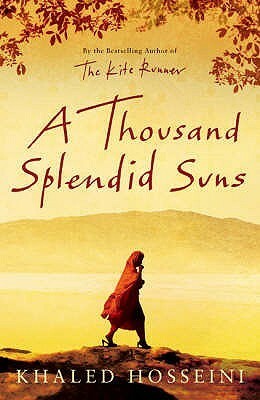 10) 'A Thousand Splendid Suns'; Khaled Hosseini. My sister is a huge fan of this author, and has desperately implored me to read his books over and over again. I struggled to decide which one to put down here, but in the end went with 'A Thousand Splendid Suns'. Seeing as my sister's recommendations have always been helpful in the past, I don't think I can ignore her raving about this book (which she read not very long ago) any more! I really loved this topic, I really hope that I do get round to reading these this Summer! Book Review: No Lasting Burial; Stant Litore. 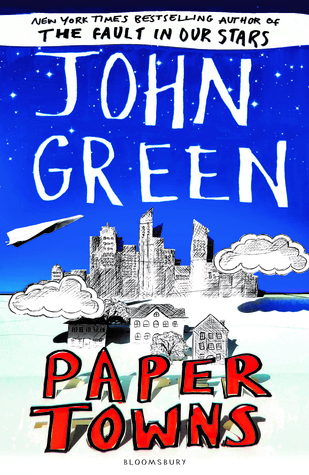 Book Review: Paper Towns; John Green. Daily Shenanigans, 28/06/2014: Darts night! Daily Shenanigans, 26/06/2014: A trip to Town! Book Review: The Graveyard Book; Neil Gaiman. Life Of A Blogger: 'Favourite Sports Teams'. Daily Shenanigans, 25/06/2014: Stifling hot day! Book Review: The Bees; Laline Paull. Daily Shenanigans, 22/06/2014: Being positive! A chance to win $25! Daily Shenanigans, 19/06/2014: New house? Life Of A Blogger: 'School'. Daily Shenanigans, 18/06/2014: Borrowing books! Daily Shenanigans, 15/06/2014: Father's Day! Daily Shenanigans, 14/06/2014: World Cup! Life Of a Blogger: 'Collections'. 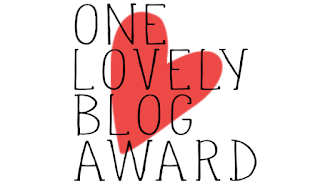 Daily Shenanigans, 11/06/2015: More news! Daily Shenanigans, 10/06/2014: Playing catch-up! Book Review: Stolen Songbird; Danielle L. Jensen. 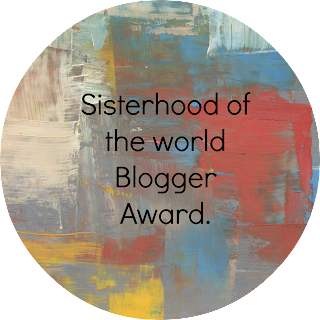 Daily Shenanigans, 09/06/2014: Guest post! Book Review: The Luminaries; Eleanor Catton. Life Of A Blogger: 'Embarrassing Things'. 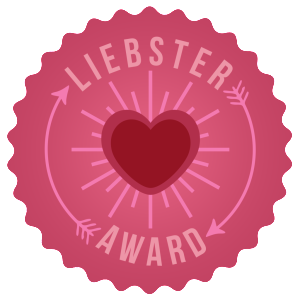 My third and fourth Liebster Blog Awards!